Tecn.A. operates in the dairy sector by providing a wide range of membrane systems for filtration and concentration. Among the existing separation and concentration methods, only membrane techniques guarantee the differential or total recovery of all the dissolved components in milk or whey, with no denaturation and leaving properties intact. 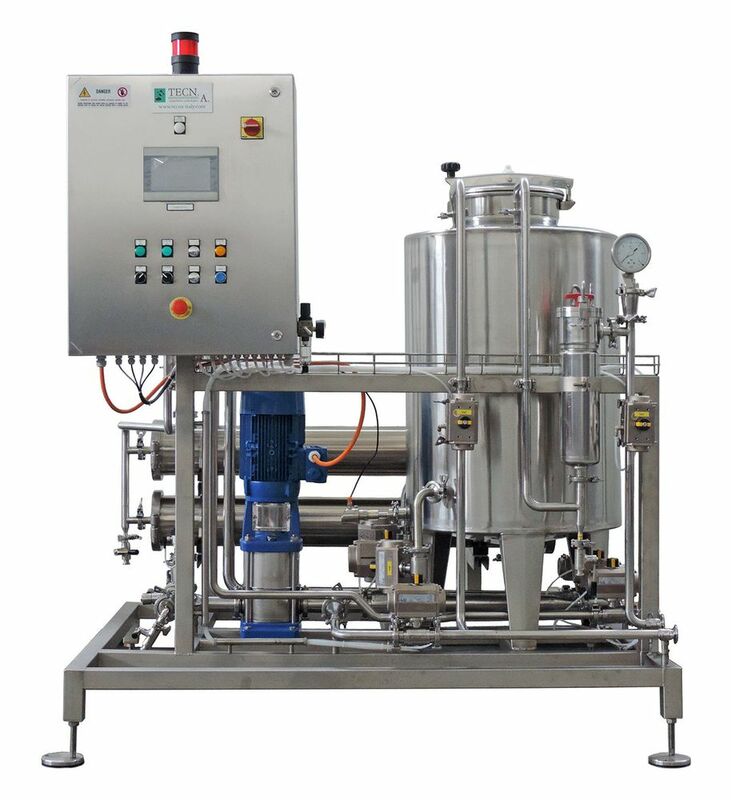 Microfiltration plants provide continuous purification of brine tanks (picture), by separating undesired components (such as colloids, bacteria, spores, molds and yeasts) thus guaranteeing the properties of other components such as proteins and salts. Ultrafiltration systems standardize and concentrate milk (MPC) and whey proteins (WPC) and reduce the lactose in milk. Reverse osmosis concentrates and enhances the whey, allowing achieving enormous savings in transportation and in the evaporation process. Nanofiltration removes the water, the monovalent salts (sodium and potassium chlorides) and some of the calcium and magnesium salts from the whey, thus achieving the whey concentration (higher than with reverse osmosis) and a partial demineralization of it. The automatic systems are controlled via PLC and HMI, and are supplied on skids and hydraulically and electrically pre-tested.